Protecting your home, before it's too late. Our termite control services can protect your business or home from the dangerous structural damage termites inflict. In the Wilmington, NC community, subterranean termites are the biggest threat to home and business owners. Our termite treatments protect our clients and prevent and eliminate the risk of a termite infestation on their property. Subterranean termite colonies can include up to 2 million termite workers, soldiers, and reproducers. Each type of termite in the colony looks different, but our termite treatments are designed to affect them all to eliminate the entire colony. Our variety of termite control methods treat everything from the potential locations of mud tubes—the structures subterranean termites build to travel from their home in the ground to your home up above—to the soil under and around your home where the termites live. We even offer continuous guaranteed treatment and help with termite control when you utilize one of our subterranean termite bond offerings to continuously protect your home or business. No matter what your termite trouble may include, our exterminators here at Brunswick Pest Control, Inc. can provide an environmentally friendly termite treatment that will solve your pest problem in the fastest, most effective means possible to keep your family or customers happy and healthy. Our termite treatmentmethods treat the soil around and underneath your property in order to attack subterranean termites in their colony underground. The termite control methods we offer include Termidor and Sentricon with the options of subterranean termite bonds to assure you are always protected. Termidor is a liquid termite treatment used by our exterminators to eliminate subterranean termite colonies rather than just repel them. Termidor is applied to the outside of your home and the soil around you to form a barrier that termites cannot detect. This barrier is safe and odorless while protecting your home and family from a termite infestation. Bifen IT is a top rated insecticide for killing Mosquitoes, Fleas, and Ticks. It is also an effective insecticide for killing White Flies on ornamental plants. As a synthetic pyrethroid, Bifen IT is a low odor chemical and may be used inside or outside. It is mostly used outside around the perimeter and in yards for insects such as mosquitoes, fleas, and ticks, however has over 75 pests on the label. Our subterranean termite bonds assure that your home will always be protected from termites as long as you pay your regular fee. 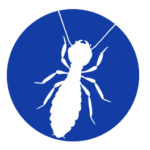 Our Wilmington, NC exterminators go the extra mile by assuring a lifetime guarantee from the original treatment and even repairing of any termite damage that occurs after the first termite treatment at no additional cost to you.